The Bruins season-closer is tonight. 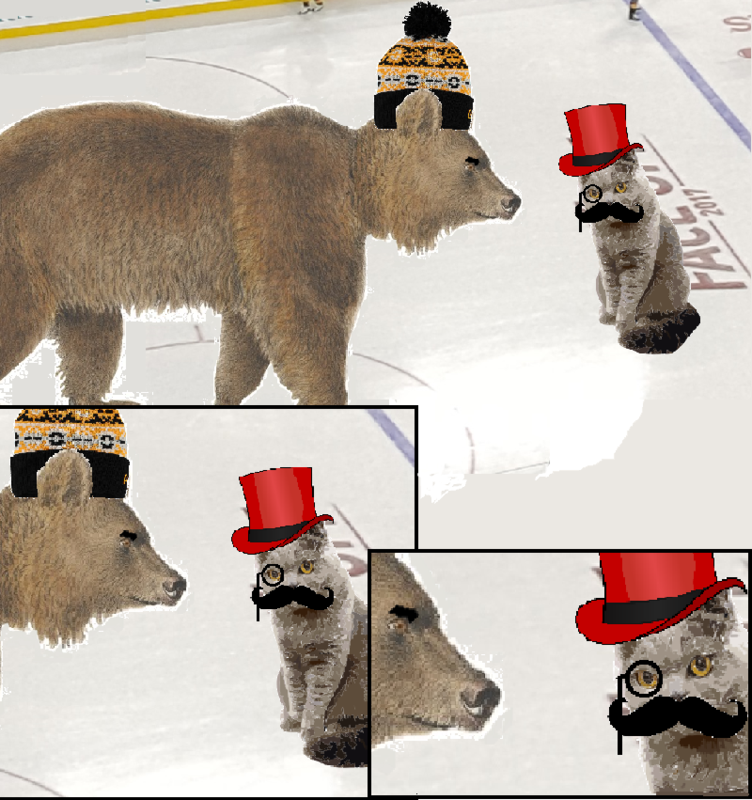 They play the Fancy Cats for the last time in the season, and for the last NHL game in the regular 2017-18 season. So closed streets, 1275 parking spaces unavailable, no subway makes Homer go crazy. It’s long and fascinating, but it’s A SECRET! Yeah, that’s the ticket! It’s a secret, and you don’t have need to know, and THAT is why I’m not telling you. The last time the Bruins faced the Florida Panthers — at BB&T Arena — they started a little slow, losing the shot battle badly, giving up a 2 goal deficit, then closing the gap, only to give up a late 3rd period goal and lose the game. This time, Florida is not playing for a playoff spot. Philly’s win on Saturday punched their ticket, and locked out the Cats. Rick Nash is ready to return, so is Sean Kuraly. Kuraly and Rick Nash are probable to return today, but Riley Nash is out until later in the week. Tommy Wingels returned last night and scored a goal to let everyone know he was ready for duty. The Bruins are one standings point and 1 ROW out of first place in the east. If they can pull 2 points out of this game in any fashion, they take over first place in the Atlantic Division as well as 1st place in the Eastern Conference. This means that they have the possibility to play the 3rd place Toronto Maple Leafs or the 8th place New Jersey Devils. The Devils are a more tractable opponent for the Bruins than the Leafs, but in the end, it isn’t entirely clear which path would increase their odds of getting into the Conference Final and beyond. Cassidy was trying Donato at center and Backes on the wing. We will see how long that lasts or if they flip back after a half period. “Aleksandr Barkov won’t play due to a shoulder injury sustained in Colby Cave hit in Sunrise Thursday. Brick’s cousin Connor Brickley, UVM product, skates 4LW for the Panthers. Tagged Boston Bruins, Florida Panthers. Bookmark the permalink. Crappy way to finish the season. Do the officials have it in for Charlie McAvoy? Or maybe they’re just generous.